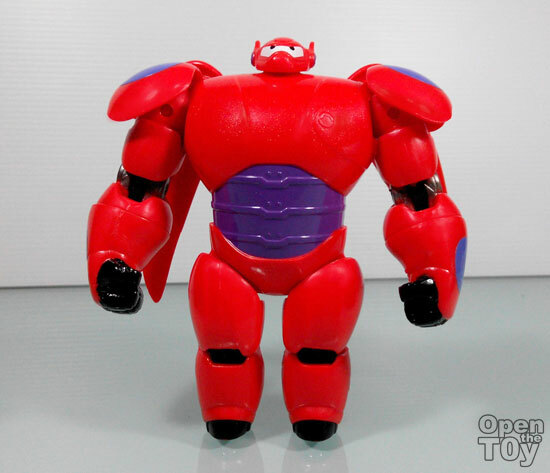 This week Big Hero 6 movie will be releasing and I am excited to watch this movie. I am not the only one. My child who watched the trailer on youtube love the character as well. 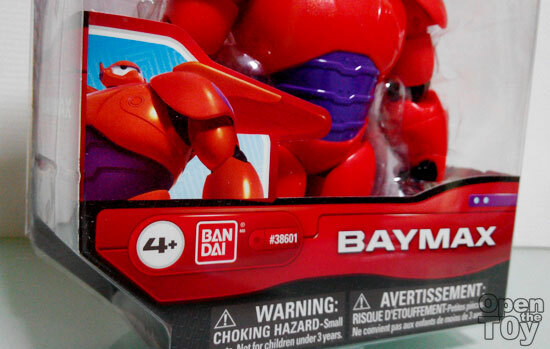 Particularly BayMax. As a parent, I learned the hard way to actually buy the toys according to the recommended age group. This version has passed his age. To him this robot is like Ironman suiting up and so imagine he saw the toys on sale at the toy department...you guess it. I have to foot the bill for him to get one. And this is what I got for him from Bandai. 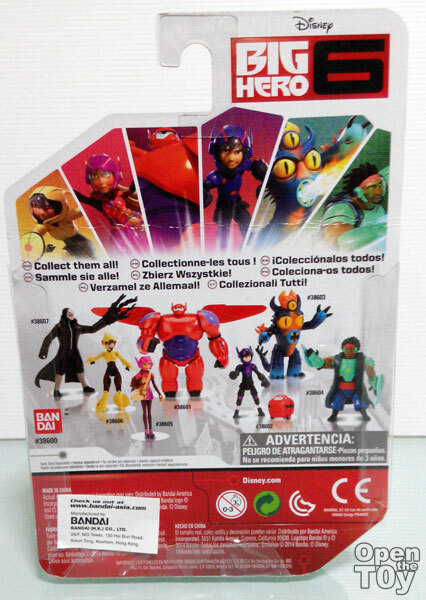 The back of the card comes with other characters in toys for this series. 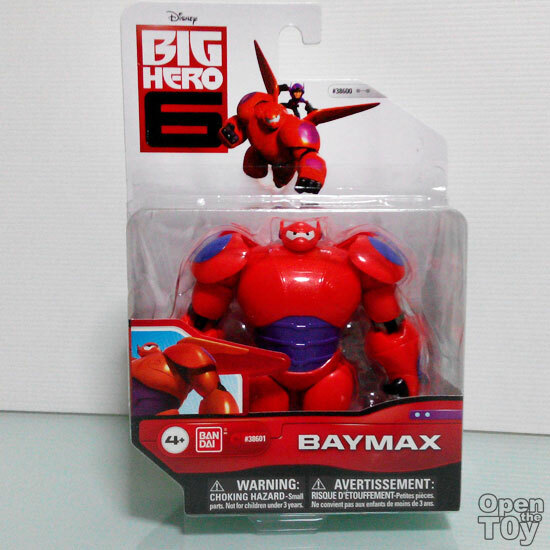 Out of the sealed card, Baymax look quite good and not as heavy as I have expected. The look and feel are more to plastic. Although they use sparkling red plastic to give him a better look and feel, I still feel it lack of some serious metallic painting. However taking to consideration that is toy is for younger kids, I guess that's alright. 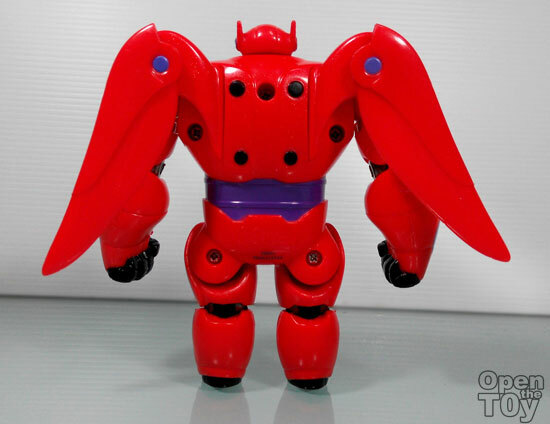 One of the attractive feature was the wings at his back. The wings joint are detachable so when playing got to be careful. The joints allow wings to extend for gliding. Honestly the wing would need to be bigger to balance . In term of joints. there are basic joint of the neck to go sideways but not up nor down. 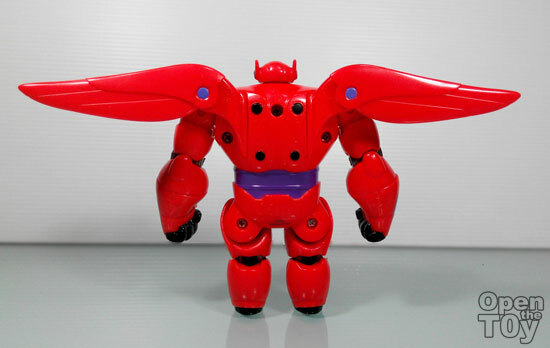 The arms are the parts that have the most articulation such as arms, elbow movement. No fingers, wrist but shoulder and elbow joints. 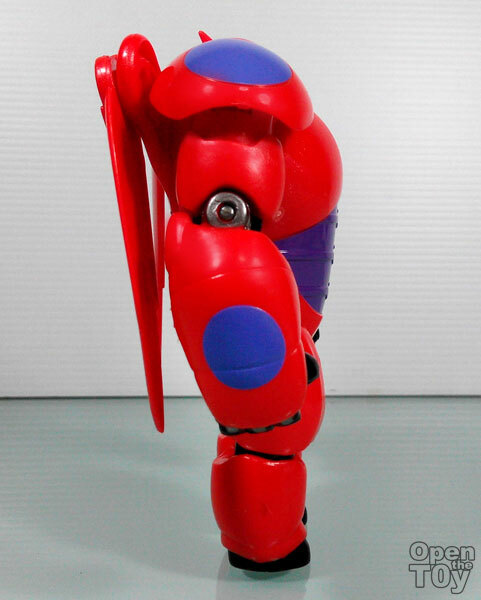 For the lower body, there isn't much articulation in the legs. No knee and ankle joints. 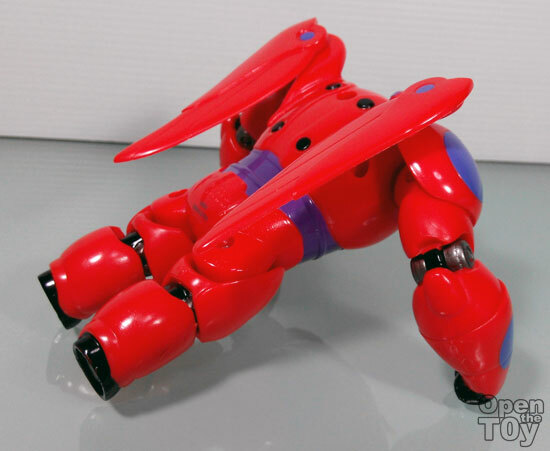 I can pose Baymax such as body building like doing push ups. 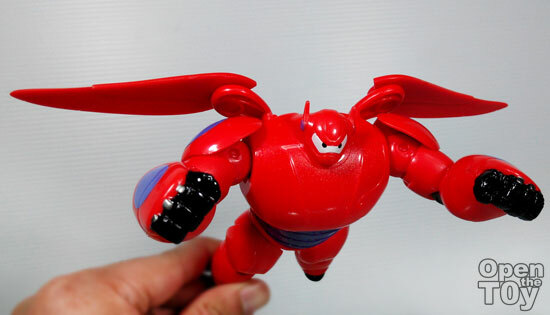 As I mention before, this Baymax do look good in flight mode. 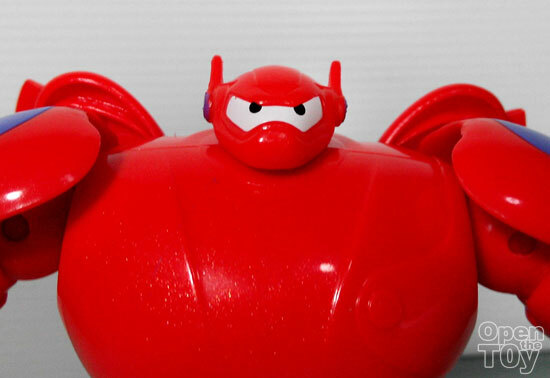 My son is now using the flight pose most of the time playing with Baymax. 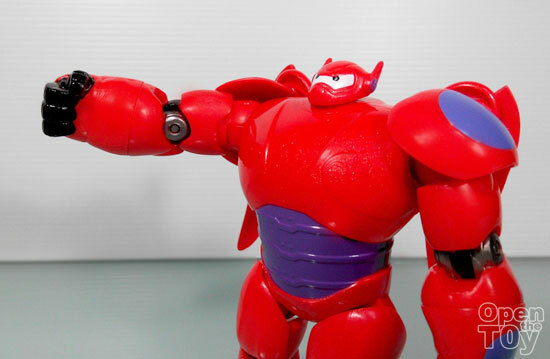 Beside asking for this toy, he also asked to bring him to the theater to catch this movie which will be screening this week. 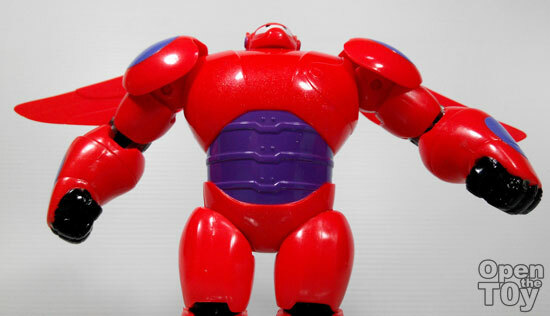 Are you ready for Big Hero 6 as well?